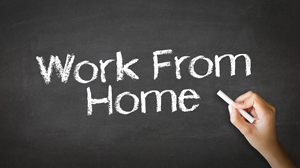 Is working from home really the wave of the future? It’s certainly starting to appear that way for many small businesses. Providing employees with the ability to “work from home,” not only creates a happier, more productive staff overall, it also cuts the overhead costs associated with running a business. Furthermore, it allows business owners to hire better employees who otherwise couldn’t accept the position due to location, and it limits absences because people won’t always need to miss work when they’re sick (as they’ll already be at home!). Additionally, with more and more positions becoming primarily digital, working remotely has never been more practical or popular. Between 2005 and 2012, the number of people who chose to work from home increased to 79.7% according to Global Workplace Analytics. Let’s just consider the numbers for a moment. What happens when you erase that horrendous 45-minute commute to and from work? Well, you’ll see an additional 90 minutes magically added to each day, which adds up to 375 hours per year. That’s a significant amount of time your employees can be spending with their families, relaxing, sleeping, and ideally, working. In essence, there’s a direct correlation between additional free time and happier, more productive employees. To be fair, working remotely isn’t a perfect solution. It can be quite isolating for employees, and it does require a certain personality type that can handle the lack of daily office interaction and the ability to set goals and complete tasks on their own. Some people feel more productive when they work alone, while others think they work better when collaborating when others. This isn’t to say that collaboration can’t be achieved with this new style of working though. Technologies including Skype, Google Hangout, GoToMeeting, Facetime, email, instant messenger, etc., all provide employees with the opportunity for immediate, face-to-face interaction. Set reasonable expectations and goals. With a detailed, thoughtful plan, you can make sure that your employees are contributing to your business, even if they do choose to stay in pajamas all day. Instead of looking over an employee’s shoulder, assign projects with deadlines in order to stay on top of results. Communication. This is an imperative component in any employee-manager relationship, but it is especially important when you don’t see each other every day. You will need to create a platform in which employees can communicate easily with each other and with you. Some people create a “digital bulletin board,” while others choose to connect frequently via Skype, email, or instant messenger. One beneficial component is that you can record and save conversations so your employees (and you) will be able to reference or review them in the future. Keeping employees “in the loop” will help them to feel included and valued, which will result in employees who feel more invested in the company as a whole. Whether you have a specific scheduled time to speak or it’s a set number of hours each day that they will be available, you need to make this clear to your employees. Regular Check-Ins. Even with a clear plan of action and frequent communications, things can (and will) go wrong. Scheduling regular meetings to check in and review the current state of everything will help prevent problems from becoming larger as well as preventing issues that might have otherwise occurred. It’s also a great way to make sure that everyone is on the same page, and it provides you with an opportunity to examine the quality of your employees’ work over time. Hint: It should be improving. Bottom Line: Working remotely results in shorter commutes, private offices and flexible work hours. And lets face it, having the option of attending a business meeting via Skype in your underwear is a major bonus.